SUU has decided to offer a joint MAcc/MBA to help its students reach their goals. 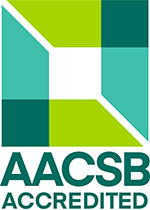 Both programs are AACSB accredited and tailored to create the leaders of tomorrow, today. Students will receive time with instructors dedicated to fostering their professional development. They will be instructed by professors with real-world experience. This unique approach to education has been successful in placing both Southern Utah University's MAcc and MBA programs in the Top 100 in the nation, according to U.S. News and World Report. Graduate degrees are often gained in the business world to advance professionally. Adding an MBA to a MAcc program can be a great way to become differentiated from other job candidates. While each graduate program is 30 credits each, with the joint program students are allowed to overlap elective courses and complete the program in 45 credits instead of 60. Students can opt to work on both courses simultaneously, or focus on one program first, graduate and then finish up the remaining program. Accountants can be found in every form of business and government. MBA graduates receive greater promotion opportunities. Graduate tuition waiver recipients are selected each year by the Dixie L. Leavitt School of Business Graduate and Scholarship Committee. The amount of partial tuition waiver to be granted will be determined yearly depending on available funds and the recommendation of the Committee. Be enrolled in classes full time (at least 9 graduate credit hours) for the semester they are applying for. IE. Students must be registered for 9 credits in the Fall if submitting an application for consideration for Fall semester tuition waiver.